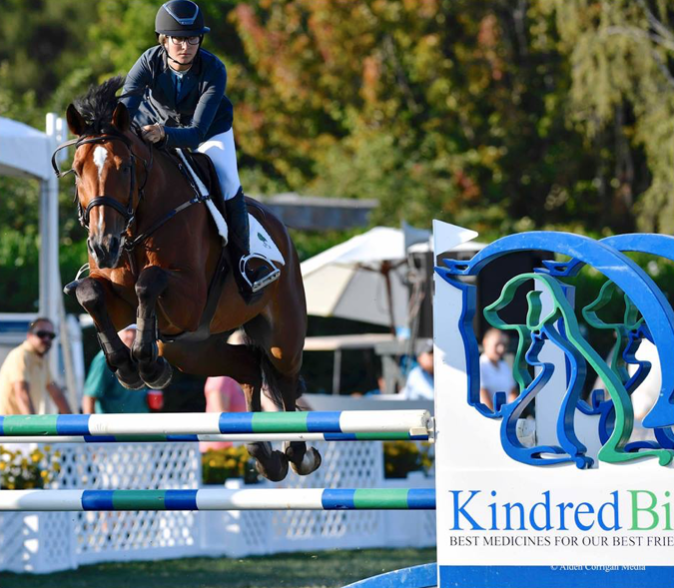 Atherton, CA (Aug. 11, 2019) — KindredBio proudly helped sponsor the Menlo Charity Horse Show for the second year. The six-day event is recognized as one of the top horse shows in the country. In the past 20 years, the Menlo Charity Horse Show raised more than $6 million for the Vista Center for the Blind and Visually Impaired. The six-day event also hosts fierce competition among hunter/jumper competitors. It is recognized as a United States Equestrian Federation (– USEF) Heritage Competition and is designated as part of the U.S. Hunter Jumper Association (USHJA) World Champion Hunter Rider Competition. Adamus and Leslie Wright at the 2018 Menlo Charity Horse Show. Photo courtesy of the Menlo Charity Horse Show and © Alden Corrigan Media.